I have always loved to read books. And, my favorite place to read is in a cozy spot with lots of pillows, blankets, etc… wrapped around me. 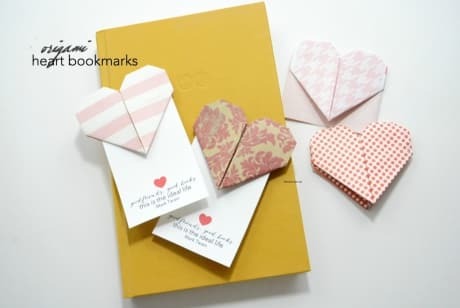 Because I love to read, this Origami heart book mark caught my eye. Amy over at The Idea Room has full instructions. I just had to make one, too! My suggestion, follow the video. The written instructions had me scratching my head. 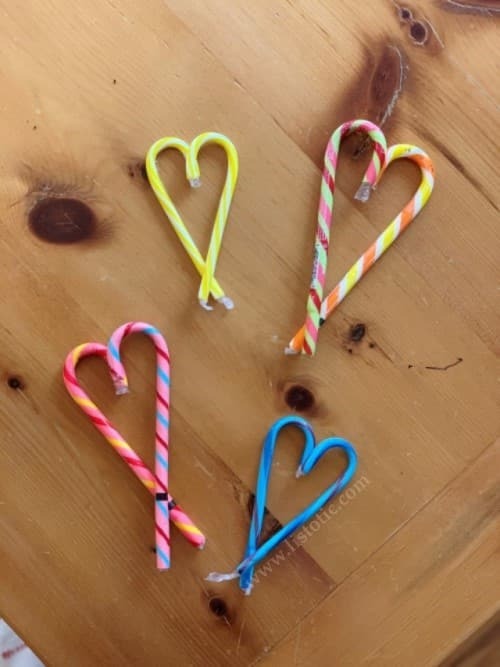 Here’s a very easy and low-cost way to give a tasty valentine! Andrea shares some ideas on how to save money on this craft. 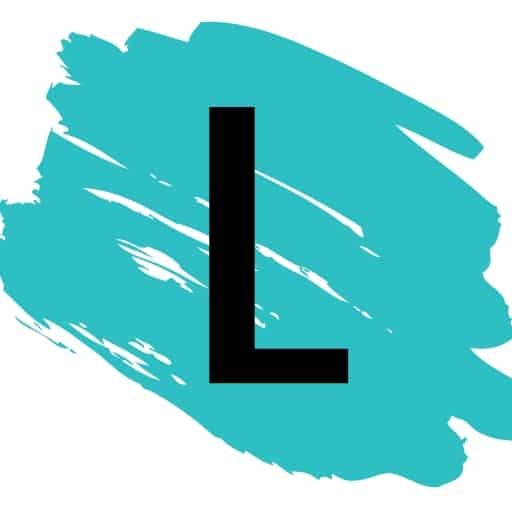 Check out her post on You Cane Save Money On Valentines. Letting someone know they are special is one of the greatest gifts you can give. 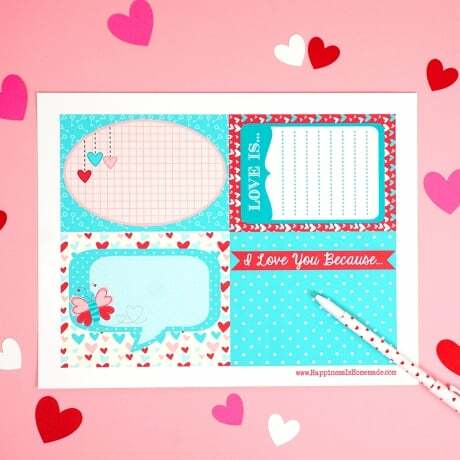 A great way to do just that, is to send love notes in your spouse’s, kids’, and significant other’s lunch box. I’ve found a couple of options for you to choose from. Heidi’s free printable from Happiness is Homemade will work for both adults and kids. 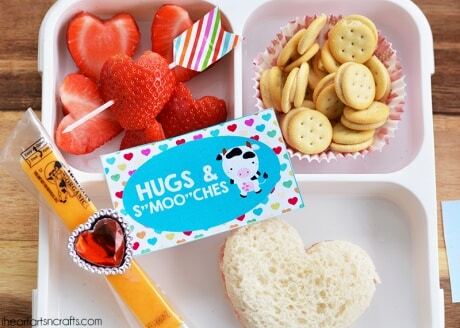 Jackie’s lunch box love notes from I Heart Arts n Crafts are more appropriate for kids. Although, I’m sure you know some adults that are just big kids! I’ll let you decide. View the entire list of DIY Valentine’s Day Gift Ideas.